Before making significant policy decisions, political actors and parties must first craft an agenda designed to place certain issues at the center of political attention. The agenda-setting approach in political science holds that the amount of attention devoted by the various actors within a political system to issues like immigration, health care, and the economy can inform our understanding of its basic patterns and processes. 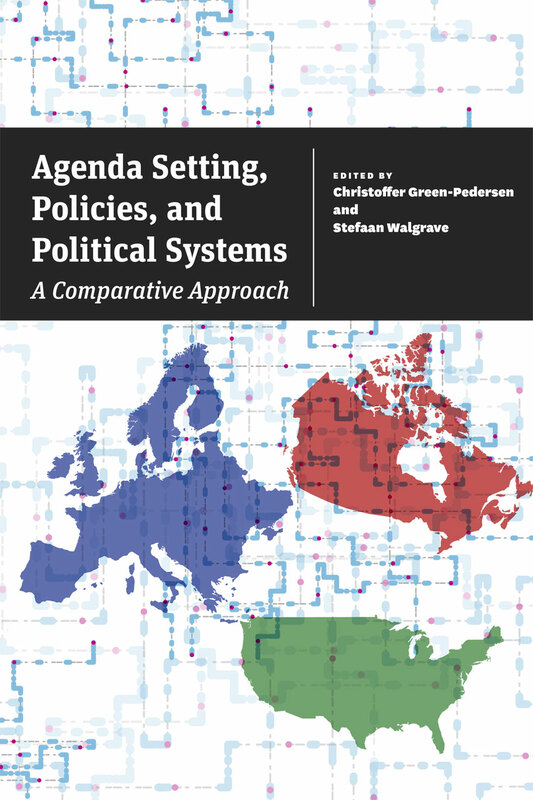 While there has been considerable attention to how political systems process issues in the United States, Christoffer Green-Pedersen and Stefaan Walgrave demonstrate the broader applicability of this approach by extending it to other countries and their political systems. Agenda Setting and Political Attention brings together essays on eleven countries and two broad themes. Contributors to the first section analyze the extent to which party and electoral changes and shifts in the partisan composition of government have led—or not led—to policy changes in the United States, the United Kingdom, the Netherlands, Denmark, Switzerland, and France. The second section turns the focus on changing institutional structures in Germany, Italy, Belgium, Spain, and Canada, including the German reunification and the collapse of the Italian party system. Together, the essays make clear the efficacy of the agenda-setting approach for understanding not only how policies evolve, but also how political systems function.